I have a new favourite kitchen appliance. And it doesn't require a power socket. 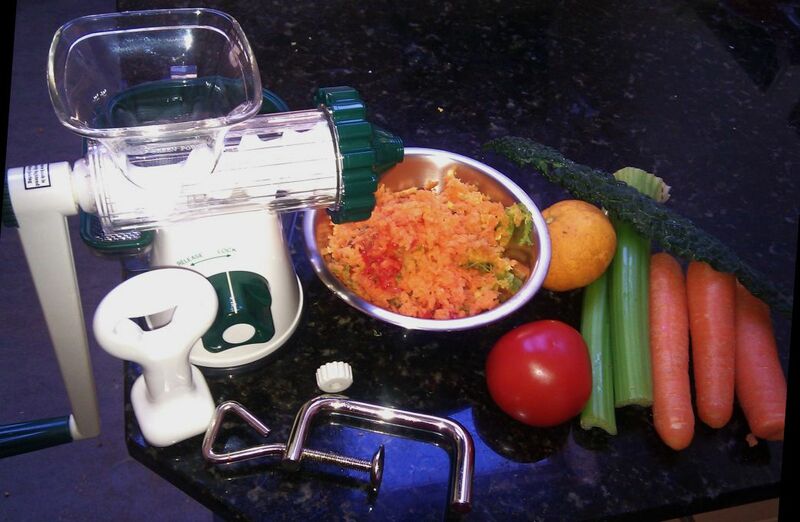 The healthy juicer is a masticating juicer - meaning it essentially chews the item being juiced, breaking down the fruit or vegetable and squeezing the juice out. In my experience, this is the most important factor determining whether or not I'll actually persevere with using a device - how easy is it to clean? I've been using the juicer during the week to juice our wheatgrass, and it has worked really well, and is unbelievably easy to clean - you really just rinse the various parts under water. It is honestly that simple. 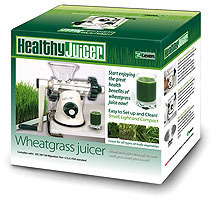 The box only says it is ideal for wheatgrass and leafy greens - so I really wasn't sure whether or not I could use it for juicing much harder vegetables such as carrot and celery. So I watched their video from Keith's homepage (the link on their own website wasn't working) and discovered that yes, carrots and celery can be put through. The only preparation required is to cut then into thin sticks. 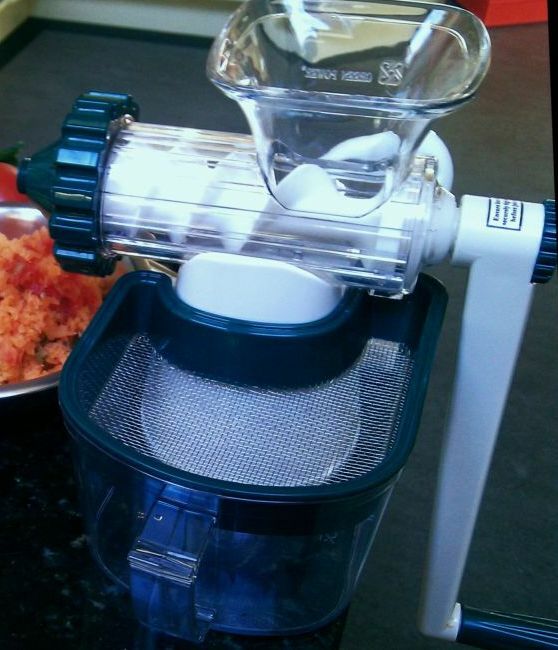 When I'm juicing wheatgrass I don't bother using the mesh sieve that sits in the top of the collection dish, but for this juice I decided to. I juiced the fruit & veges in a mixed order, leaving the tomato until last - the tomato generates a very thick, pulpy juice which I found I had to turn the handle backwards on the juicer to get it out of the auger and back into the drain hole, then I spread it across the sieve and forced it through with the back of a spoon as a final step. The resulting juice was absolutely delicious, of lovely consistency, and what I really appreciated is that it wasn't horribly frothy. 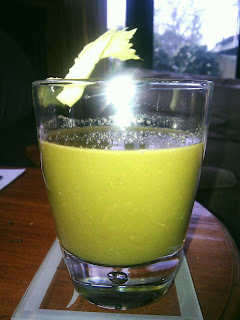 We have an electric, centrifugal style juicer which I used to use years ago and the resulting juice, regardless of what you are juicing, is always absolutely full of froth and has to be continually stirred while you're drinking it to stop it seperating out. Not to mention that due to the way it works, everything gets somewhat heated in the high-speed process thus destroying some of the amazing nutrients you otherwise get when you juice, and finally, it was an absolute beast of a thing to clean - which is why I haven't used it for years. 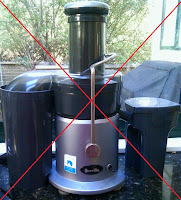 And now that I know how easy it is to use the Lexen Juicer and how much I can do with it, I will be getting rid of the electric one. The resulting pulp still looked so good, and I hate missing out on the good fibre from the veges, so I set about making a pot of soup - I had some heads of celery leaf that I'd been saving for soup and used these as the base and tipped in all of the pulp from my juice as well. Its cooling at the moment - initial taste tests have been very positive! Last but by absolutely no means least, because this is a masticating juicer, you really are getting the very best of the nutrients and vitality out of your produce. Oh - and no I am not being paid to review this product! I'm just doing so because I absolutely love it!